Well, this review might get a bit complicated, but I will try and keep it as simple and straightforward as possible. The reason I say this is that the history and current status of the company Firenze Orologi Srl is a bit convoluted and hard to follow. 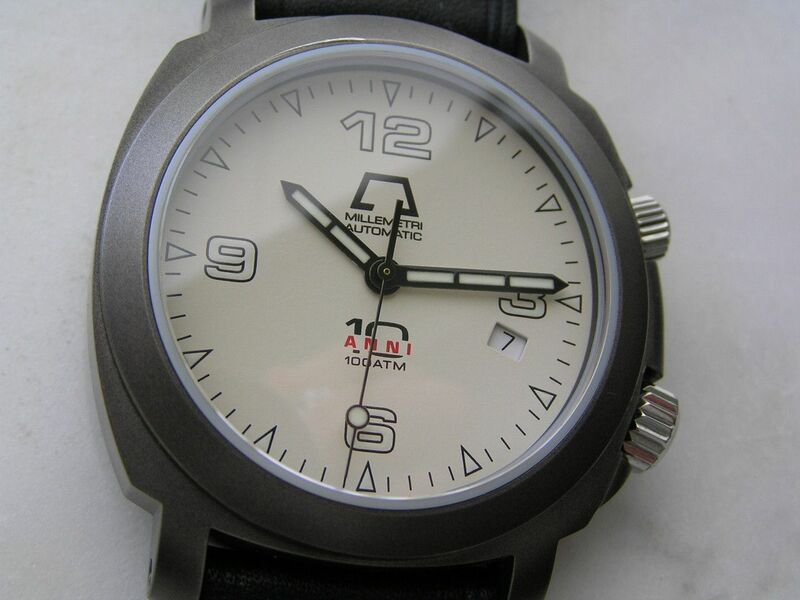 Basically, the brand Anonimo Firenze is manufactured in Florence and is distributed by Firenze Orologi Srl. Anonimo was founded in 1997 by Federico Massacesi (from Salvatore Ferragamo) and due to the confluence of several factors, the company included a relationship to Officine Panerai and the Ambuchi family, a casemaker in Firenze since 1939. As I understand it, when Anonimo was founded, Panerai had just left Italy to make its products in Switzerland and Anonimo was started to continue the Firenze (Florence) tradition of watchmaking. I take no responsibility for any misstatements here about the company, but that’s as I understand it. You could sort of look at an Anonimo as the closest thing to a Panerai without being a Panerai; definitely something more than an homage watch. 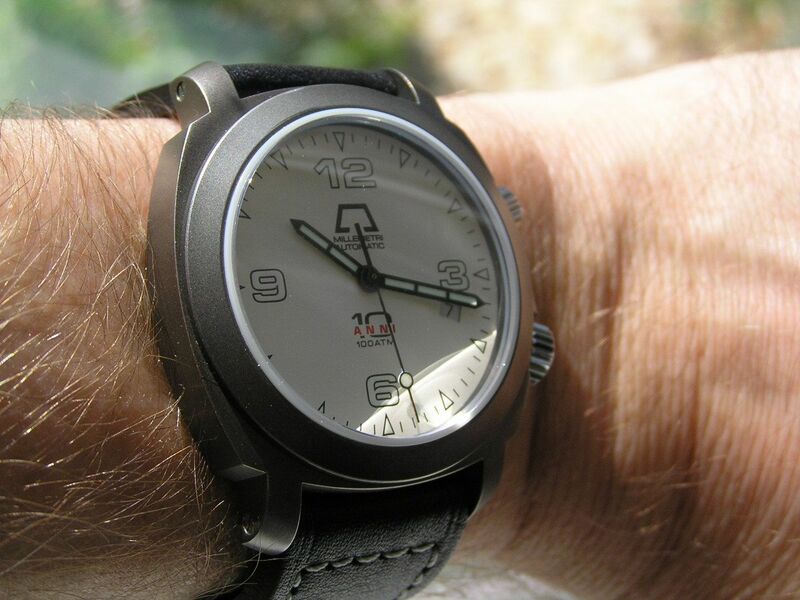 One nice thing, you can certainly pick up an Anonimo for a lot less pennies than a Panny while being quite a bit more exclusive, as Anonimo doesn’t mass produce their watches. Anonimo is based in Florence, Italy and boasts an extremely wide range of watch models, with high quality cases CNC crafted from a solid block of either 316L stainless steel or marine grade bronze. As recently as 2009, the company has undergone a process of ‘renewal’ that will enable it to continue its tradition of hand-crafted well made watches. There were some rumblings earlier this year about the future survival of the company, but an exact story is hard to come across and I don't want to present any misinformation. As far as I can tell, the company is still producing its unique watches and does have quite a strong following of enthusiastic customers. The Millemetri was the company’s first watch model and has been in continuous production since 1997 in a vast array of colors and combinations. The 10th anniversary model reviewed here crossed my radar earlier this year and since I have been interested in the brand for quite some time, I took the bait and purchased one of the 10 Anni models (of which there were only 98 made). 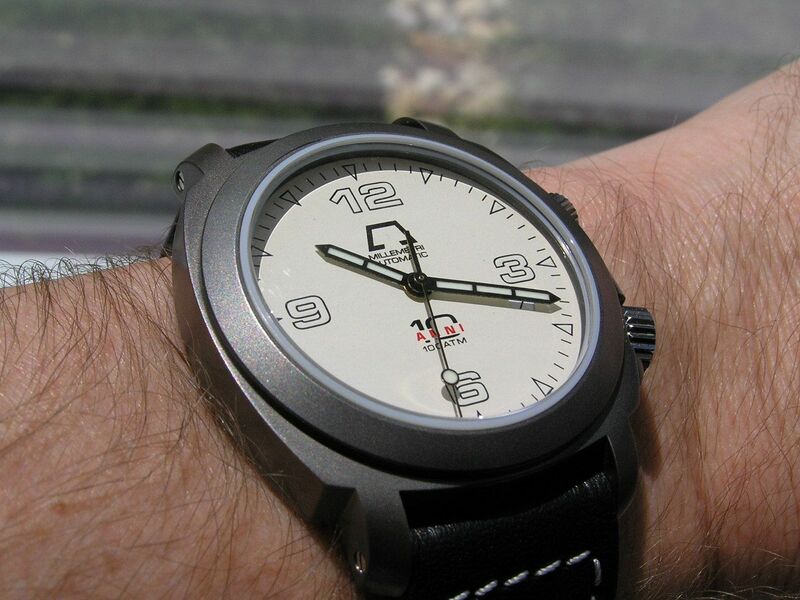 Although this watch was produced in the 2008 timeframe, there are still LNIB examples around (like the one I picked up). The 10 Anni features Anonimo’s exclusive Ox-B or Drass treatment on the case (Drass stands for Double Refined Anonimo Steel Surface). Drass was also developed for Italian dive equipment maker Drass to match the colors of their dive equipment. Drass is the pretty much the third generation of Anonimo’s finish called Ox-Pro and Ox-B, so if you see Ox-Pro/Ox-B, it’s basically the same thing as Drass, but the finish will not be as consistent, although the finish on my watch is very consistent. 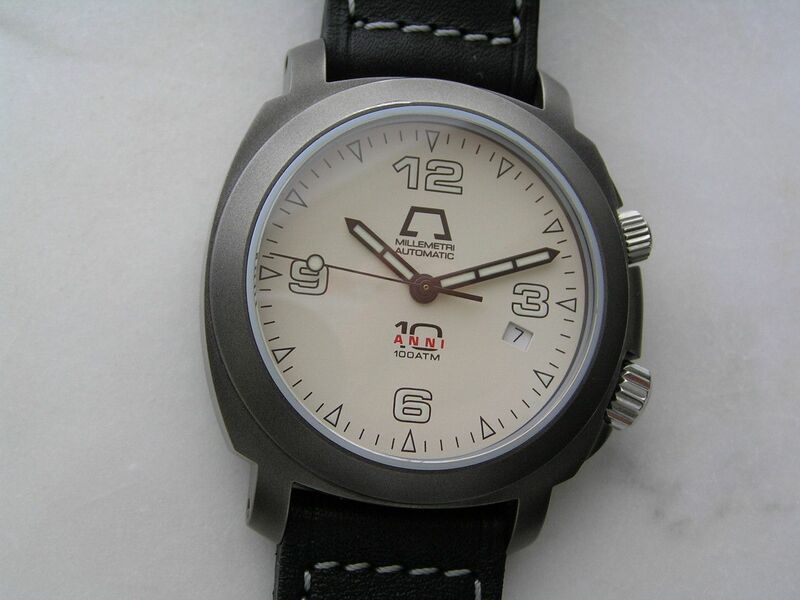 There is some confusion here, as my watch says on the caseback that it’s Ox-B, yet on their web site, Anonimo lists the 10 Anni models as having a Drass finish. I guess this arises from the perils of being a small company making limited numbers of watches each year. 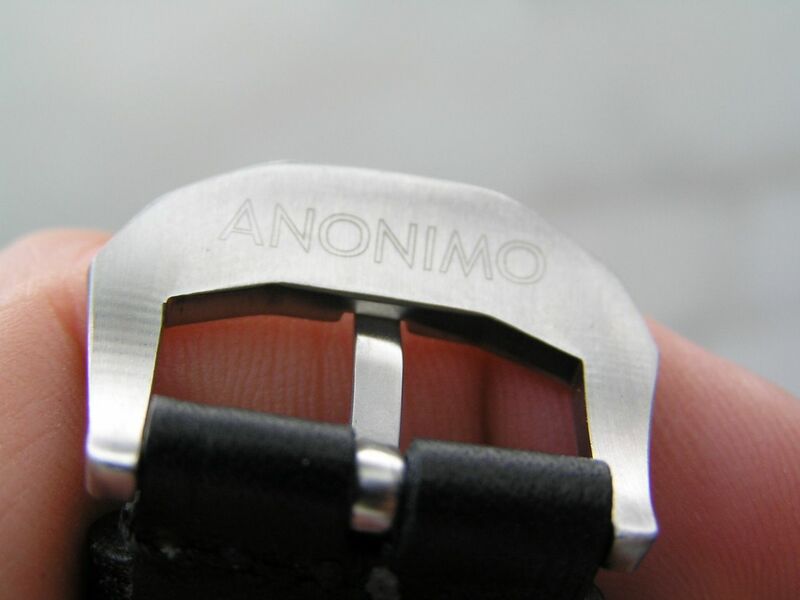 Anonimo is the only company you’ll find the unique Ox-B or Drass case treatment on. It can best be described as a sort of greyish PVD, and is somewhat transparent and very durable. It’s really pretty cool and should hold up to a lot of abuse. 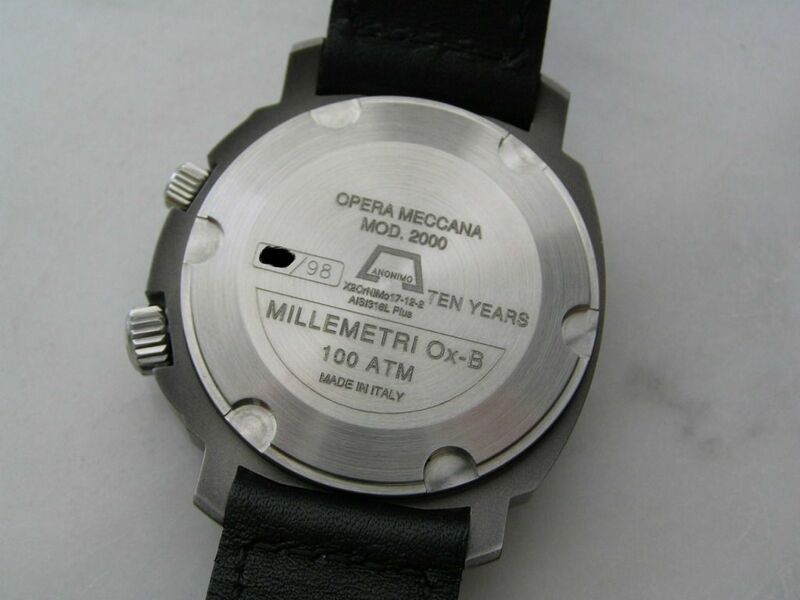 The 10 Anni case is solid 316L stainless steel measuring 42mm across the bezel without either of the two crowns. Measured from the case sides, the dimension is 44.4mm and with the winding crown included, the watch measures 47.5mm. Despite these seemingly big dimensions, the watch does not wear large. The Ox-B/Drass coating is evenly applied and is smooth to the touch. One odd note, despite the company’s web site stating all the hand crafting and quality that goes into their cases, this particular example of the 10 Anni was purchased NIB (New In Box) and presumably came from the factory with a scratch on the case, right through the coating down to the base stainless steel, located right between the bezel and crystal between the 11 and 12 position, measuring about 9mm in length. It can be seen in the photos if you look closely. This QC problem is extremely disappointing to me. It seems the case was somehow scratched either before or during crystal fitment. I’m sure this particular flaw was a one-off anomaly, but I feel I had to mention it. See, I told you this review was going to be difficult. 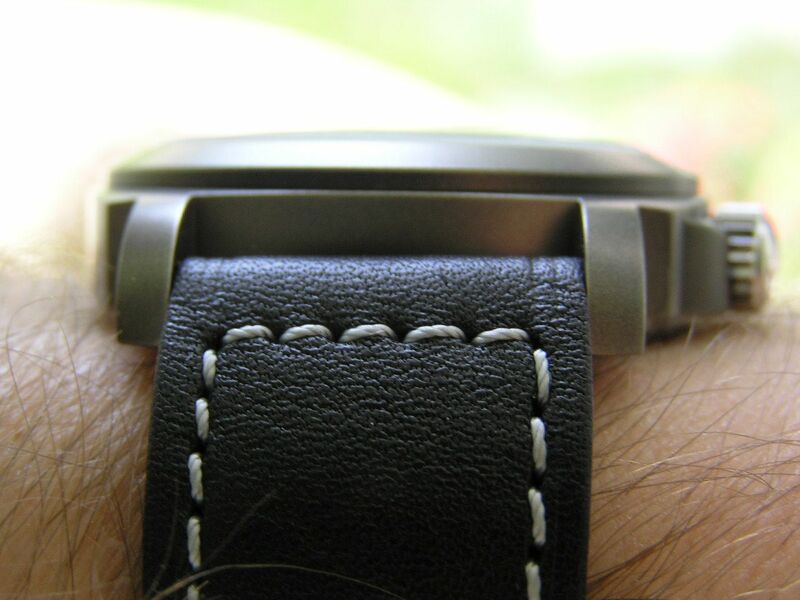 The caseback is brushed stainless steel, screws down and has various laser-etched printing on it. A fancier, embossed caseback would be nicer at this price point, as the laser etching is not very deep and really doesn’t look like something you’d expect to see on a watch at this price point. Lug width is 22mm, with the lugs being fairly beefy but short, with screwed bars holding the strap in place. Case thickness is 14.5mm. And in case you’re wondering, when compared to my Panerai 310 (40mm chrono), the case shape is almost identical to the Anonimo, so the Panny connection is indeed strong here. 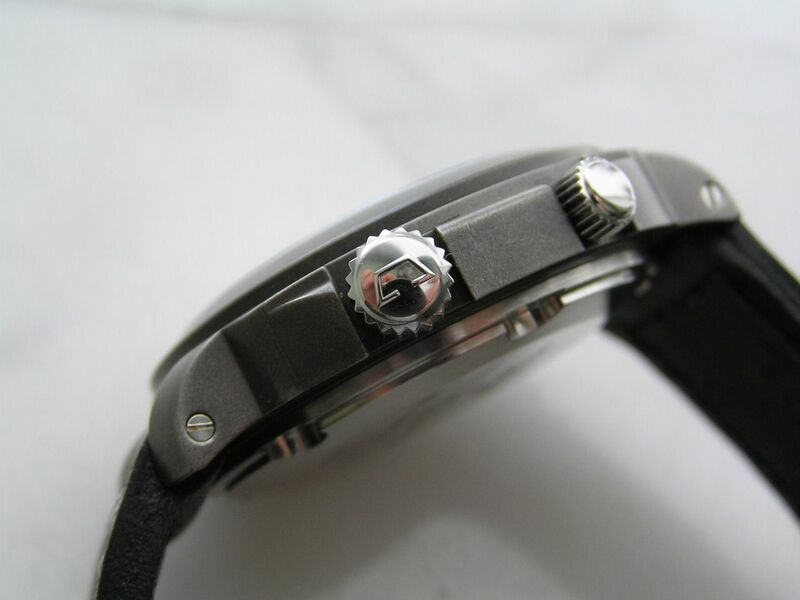 The main watch crown (time and date setting) is located at the four position and is signed and screws down and is done in polished stainless steel, as is the helium escape valve. The manually operated helium escape valve (HEV) is located at the two position. This crown is smaller and is unsigned. It really doesn’t get in the way. 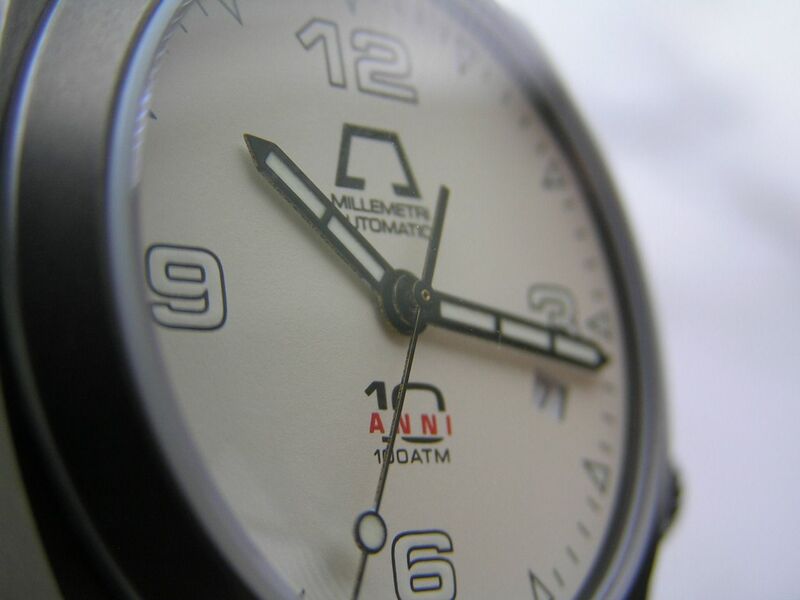 Being a serious dive watch, the Millemetri (‘1000 meters’ in Italian) is rated at of course, 100 atm of water resistance. The dial is both a joy and a bit of a letdown. The ivory/cream color is superb. I’ve always liked this shade in a watch dial and the 10 Anni shines here. It lets me down just because everything on the dial is printed, there are no applied markers, logos, date window frames or the like. While it looks fairly clean, it also looks kind of cheap. There are large arabics at each quarter hour (12, 3, 6, 9) with inverted triangles at each five minute mark. Both of these features are luminous. Black hash marks are inserted between the triangles. 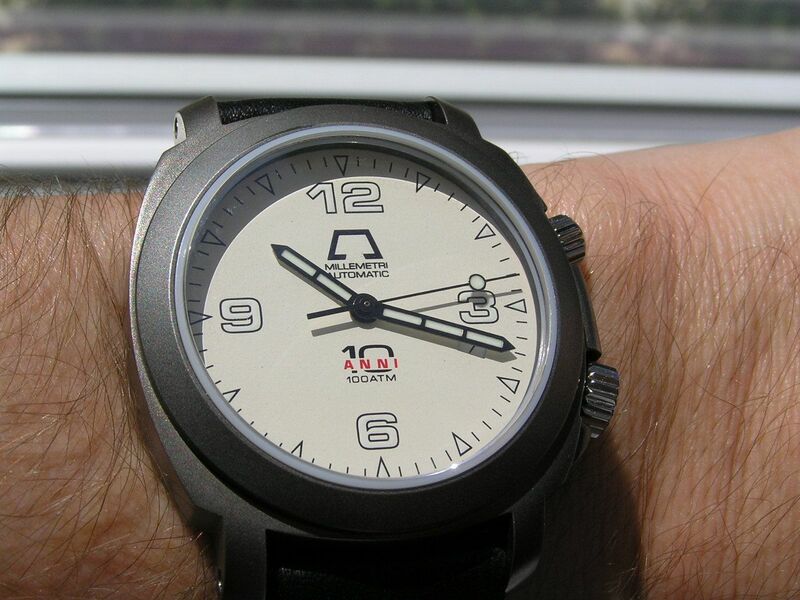 The date window is located at the 2:30 position, with a quickset black on white date wheel. Wheel alignment within the window is fine, but the window is unframed and pretty small, so seeing the date clearly can be a challenge at times. 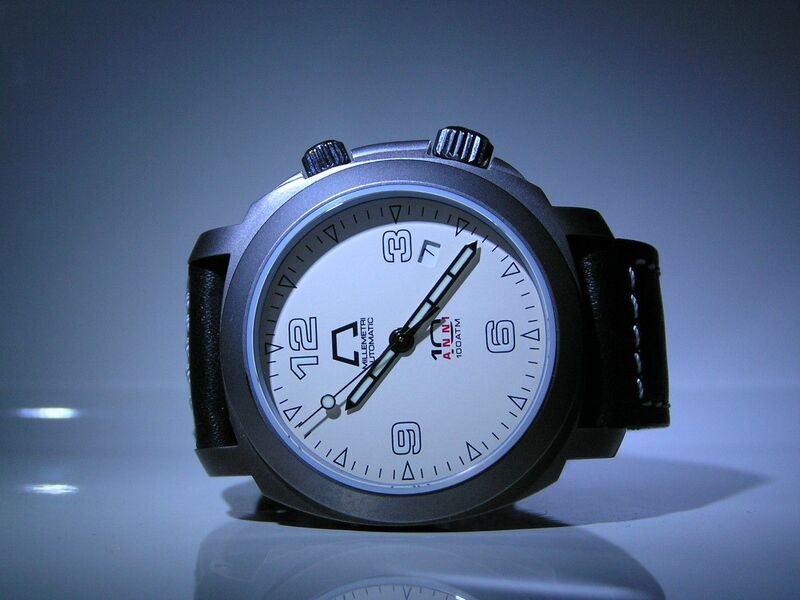 The hour and minute hands are black ladder style with Super Luminova illumination, with a black seconds hand with a luminous ball near the end. 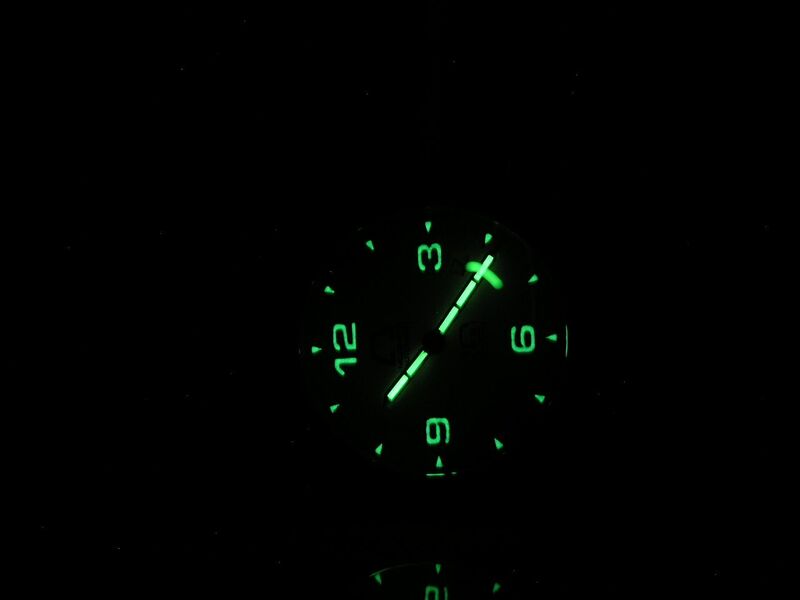 Lume quality is of course, good. 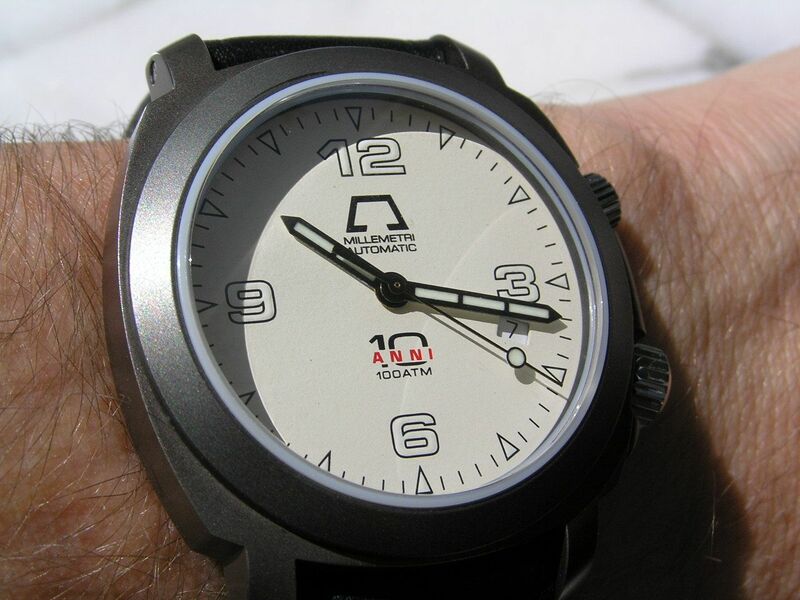 The dial is clean and ‘open’ with not too much printing (the Anonimo stylized ‘A’, with ‘Millemetri’ and ‘Automatic’ underneath the logo on the upper half of the dial and the 10 Anni logo and ‘100 ATM’ in the lower half. 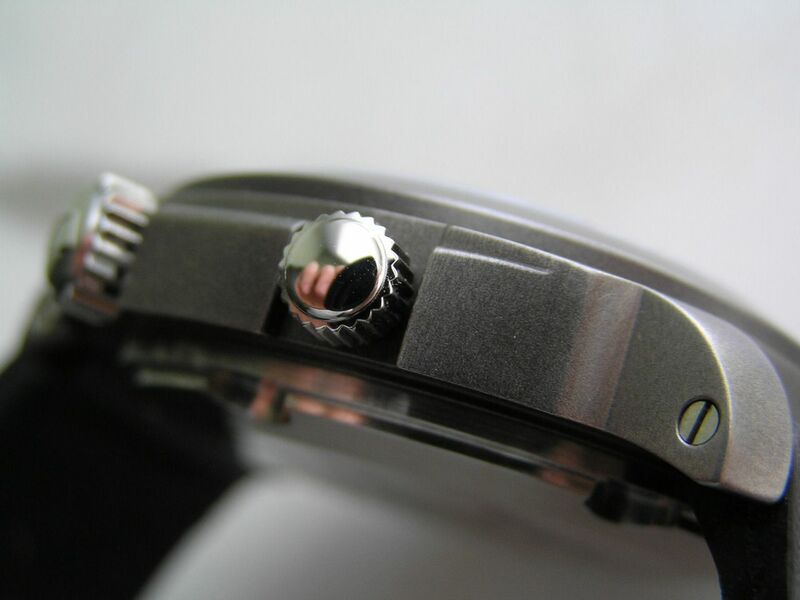 The dial is covered with a very slightly domed sapphire crystal. I would give the overall presentation of the dial a B minus; it just needs a bit more oomph to really shine. One other note. The gasket that sits between the crystal and the bezel is white plastic and is clearly visible at all angles. 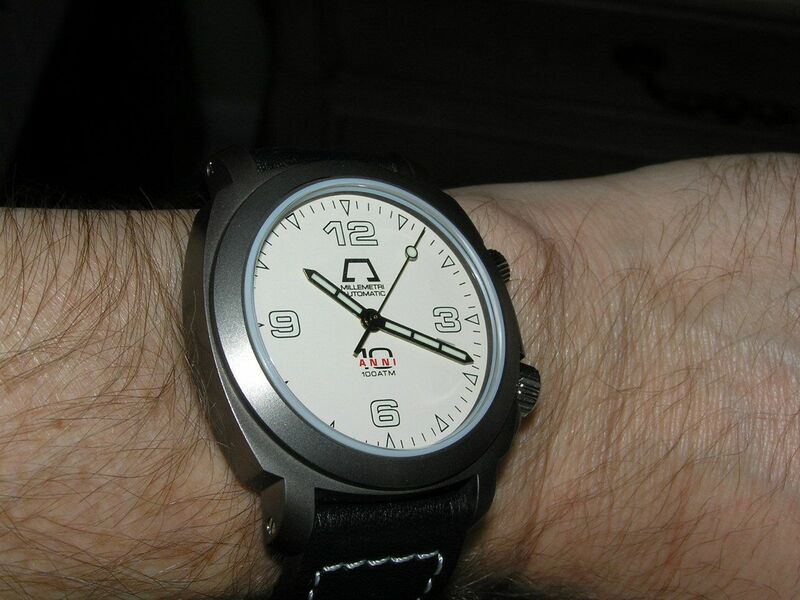 Using a gasket like this may be due to the high water resistance rating of the watch, but like the printed dial, it imparts a level of cheapness that this watch should not have. The engine inside the 10 Anni is the rapidly becoming ubiquitous Selitta SW200-1 (ETA 2824-2 clone). This is a fine movement, running for 45 hours power reserve during my testing and about +7 seconds per day out of the box. The movement hacks and manual winds and has a smooth sweep seconds hand action. Specs are 26 jewels and adjustment in four positions. Although the caseback is not a display type, Anonimo installs a proprietary rotor and does some decorations to the base movement. 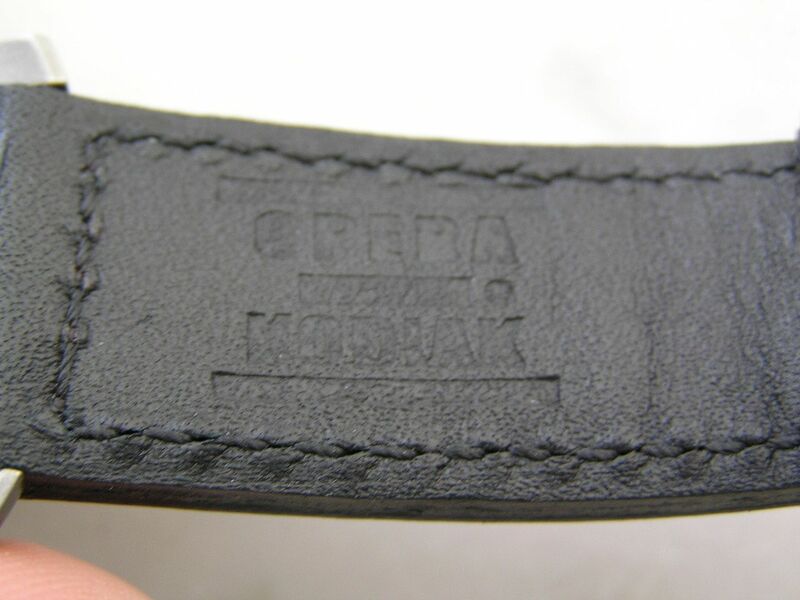 The signed strap is quite nice on the 10 Anni, a thick black leather ‘Opera Kodiak’ treated strap (water resistant) with light grey contrast stitching. 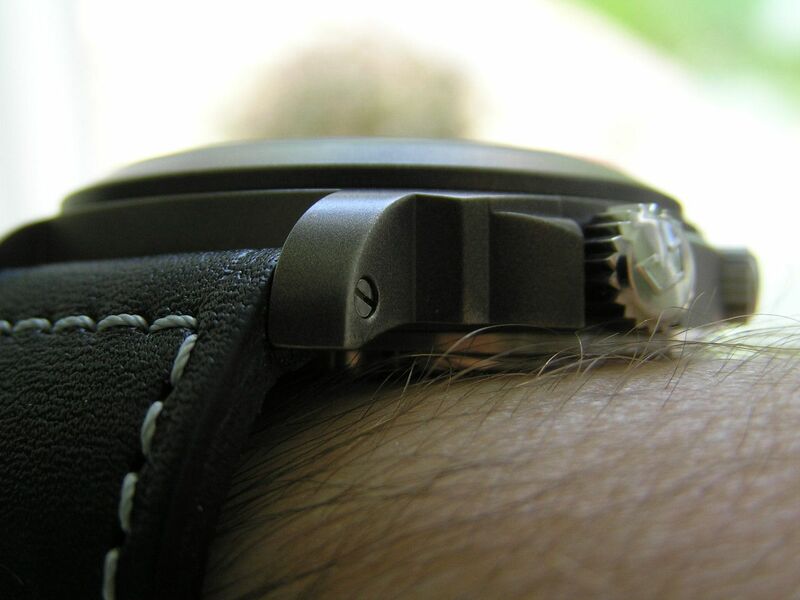 The strap measures 22mm at the lugs and tapers to about 19.8mm at the fairly large brushed stainless steel buckle. The signed buckle is similar to the familiar Panny ‘pre-V’ buckle, but is not as large (thankfully) and is more rounded in its design. 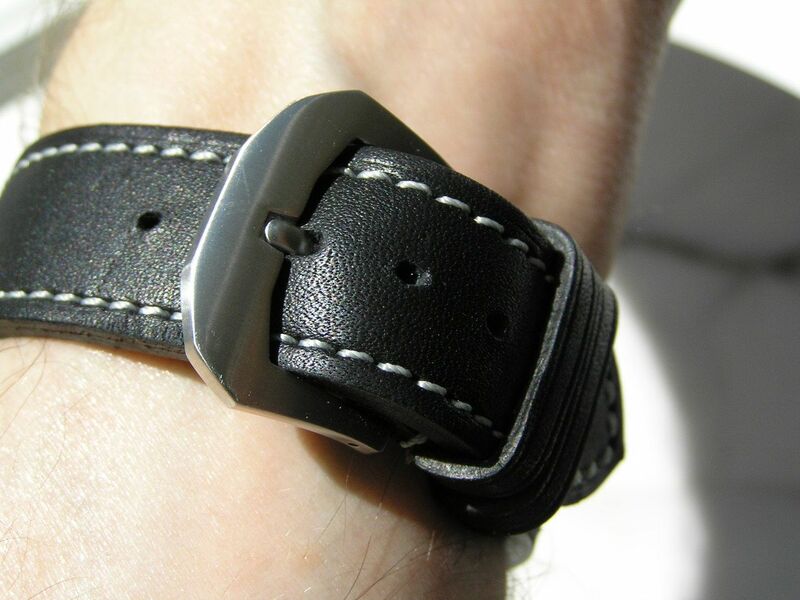 The strap has two keepers (one fixed, one floating) and despite its thickness, is fairly comfortable on the wrist and is starting to break-in after a couple of wearings. Presentation is impressive, with monster-sized inner and outer boxes, with the inner box sporting a faux padded leather top with stitching and a padded inside. 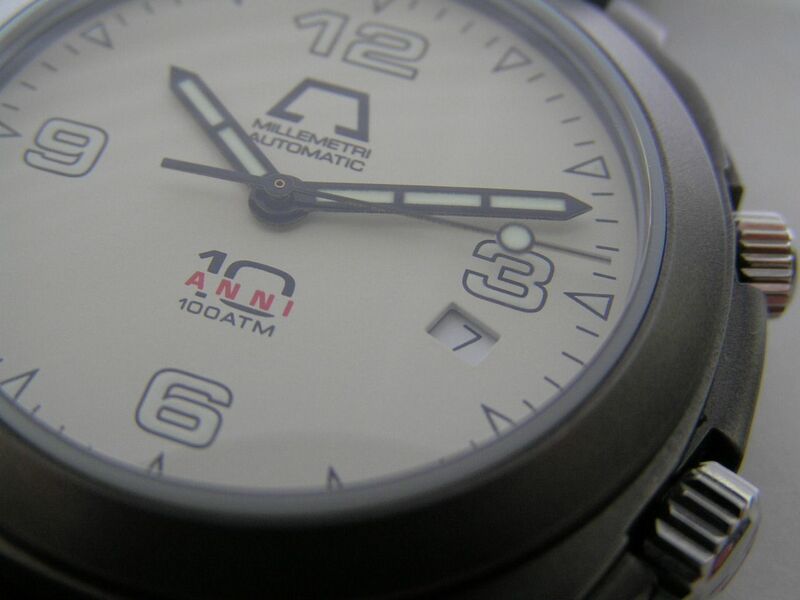 Overall, I venture to say the Anonimo 10 Anni is not a watch for everyone. If you really want a Panerai and can afford one, get the real thing. If you want something that’s several steps above the glut of Panny homages out there, with a true Italian heritage and solid construction with a Swiss heart, the Anonimo is a good choice, albeit pricey if not purchased at the right price. I am glad I have added this watch to my collection and it seems that I like it more each time I wear it. Verdict: not a household name, Anonimo has made an impression on the watch world during its short time as an independent watch company, with unique designs, quality materials and a passion for wanting to make watches that stand apart from the crowd. Buy a Millemetri for what it represents and you should be happy.